Having struggled with my looper pedal, I decided to look up how I could fix it. This website provided detailed instructions on how to fix what appears to be a crappy switch-component. They give instructions for the Ditto x2 model, however the Ditto x4 is bigger so also easier to work on. They also provide the link to buy the replacement switch. 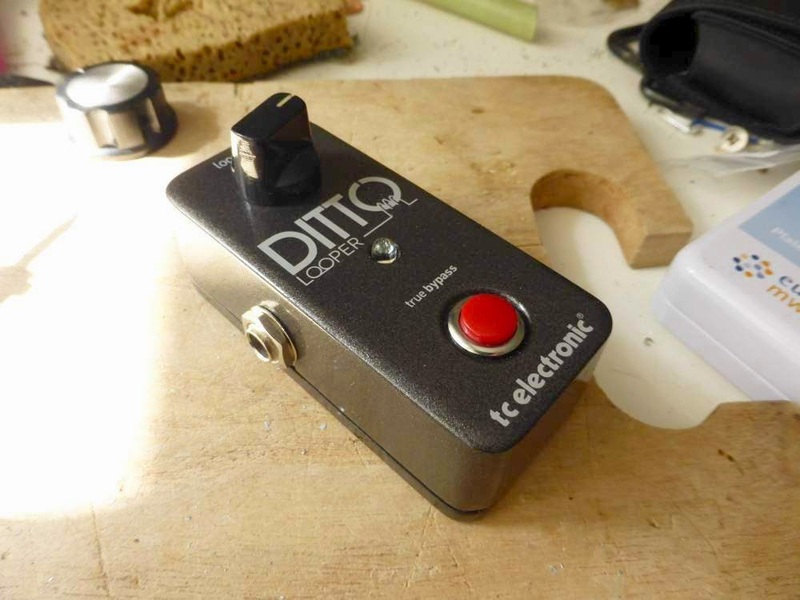 In the video below you can see very proper instructions on how to dissasemble a similar pedal by TC Electronics. I however prefer the ‘arcade’-style buttons instead of the noisy spring switches. Make sure to use a torx screwdriver, not a hexathingy one; you won’t be able to properly open the pedal since the screws are screwed in very tight. I just cut out the bad switch with a stanley knife. To remove the little “stopping pad” they take away on the instructions website, I just used a metal saw; the saw itself, without the enclosure.